Chelsea won the League Cup meeting on Wednesday - but Liverpool start this league meeting as favourites. Michael Cox and Alan Thompson preview Saturday night's clash. "The energy of N’Golo Kante, now deployed in more of a box-to-box midfield role to the right, will be crucial against Liverpool’s mobility"
Saturday, 17:30, BT Sport 1. Match Odds: Chelsea [2.86], Liverpool [2.6], The Draw [3.7]. Chelsea defeated Liverpool on Wednesday night at Anfield, courtesy of Eden Hazard's stunning late solo strike - but with both sides likely to be very different on Saturday evening, that game can hardly be considered much of a guide. This is arguably Maurizio Sarri's first serious test as Chelsea manager. The only major opposition they'd encountered so far in the Premier League was Arsenal, in the second game of the season. Chelsea prevailed 2-1, but in truth it was against a side still trying to find their own footballing identity, and Chelsea conceded plenty of first-half chances. This is a different test entirely, against last season's defeated European Cup finalists who have perhaps become even better this season. Jurgen Klopp's side are playing slick attacking football while continuing to press with great energy in midfield, and they might disrupt Chelsea's passing patterns here. Sarri's first-choice XI so far has been fairly consistent. Goalkeeper Kepa Arrizabalaga is protected by a back four of Cesar Azpilicueta, Antonio Rudiger, David Luiz and Marcos Alonso. Azpilicueta is as reliable as ever, Rudiger has sauntered forward for some long-range attempts at goal, David Luizlooks nervous in a four-man defence and Alonso has contributed a succession of crucial goals and assists. Jorginho will continue to anchor the midfield. He's unlikely to match last weekend's extraordinary tally of 180 passes against West Ham, a number recorded primarily because West Ham were happy to stand off, let him play, and defend solidly in deeper positions. That approach surely won't be replicated by Liverpool, who will look to press aggressively in numbers. The energy of N'Golo Kante, now deployed in more of a box-to-box midfield role to the right, will be crucial against Liverpool's mobility, and his battle with Naby Keita could be particularly exciting. Mateo Kovacic should complete the trio, attempting to connect midfield and attack. Hazard, Wednesday's hero, should start on the left flank here. His battle with Trent Alexander-Arnold could be fascinating, not just in terms of the young full-back stopping the Belgian, but also because Hazard isn't too fond of tracking back, and Arnold's overlapping could be crucial in Liverpool's approach. Willian has impressed on the right flank recently, while Sarri still hasn't decided on his centre-forward. Olivier Giroud is the man in possession and plays some neat combinations to allow Hazard to run in behind, but the Frenchman isn't particularly effective against a high defensive line. Alvaro Morata is better at running the channels and could return despite his poor form. Klopp's starting XI is also very settled. Alexander-Arnold and Andy Robertson have been in fine form, Joe Gomez has made a fine start to the campaign while Virgil van Dijk should be fit despite a rib problem. Joel Matip is on standby. The midfield is the slight question mark. 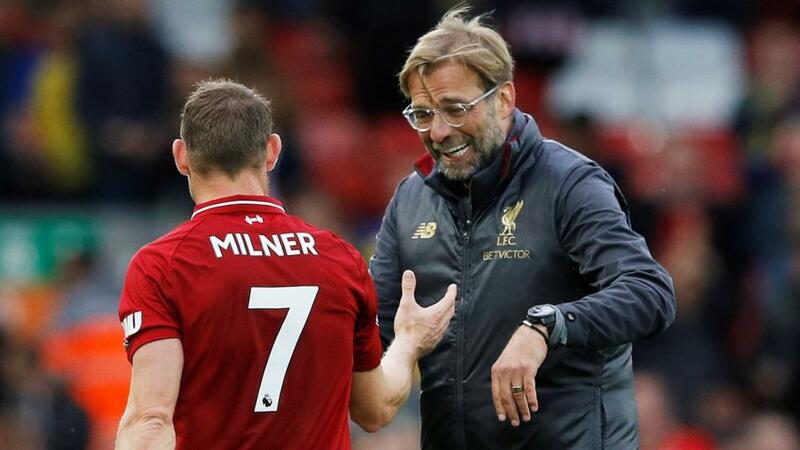 James Milner seems undroppable, Keita is likely to start in a similar role, so it's probably a battle between Jordan Henderson and Gini Wijnaldum for the deeper role. Wijnaldum currently looks more suited to that role. Xherdan Shaqiri has started Liverpool's last two games, but got a rollicking from Klopp at full-time on Wednesday and was unlikely to continue here, as Liverpool revert to their classic 4-3-3, and their usual front three. Sadio Mane will play left against Azpilicueta, with Salah on the right against Alonso and Roberto Firmino leading the line. Firmino's role will be particularly crucial here. He'll be expected to apply backwards pressure on Jorginho, and is also likely to position himself cleverly to the right, in order to drag out David Luiz whose positional play has been questionable this season. This is Liverpool's most promising zone, with Salah sprinting into the right-hand channel, Milner capable of pushing past Kovacic and into dangerous positions, and even Alexander-Arnold popping up on the overlap. Hazard will stay in advanced positions and Alonso isn't great in a positional sense. I think Liverpool will win the game in this zone. Chelsea's possession play means they might dominate for long periods, particularly towards the end of halves when Liverpool find it difficult to sustain their possession play. But thus far it feels like they're dependent on individual moments of magic from Hazard. Wednesday demonstrates when he can do, but in terms of teamwork Sarri has conceded his side are about a year behind Liverpool in terms of their development, and I think Klopp's side will win here. I'll back Liverpool at [2.6]. Table topping Liverpool lost their 100% start to the season midweek when Chelsea came back from a goal behind at Anfield to win 2-1 with two goals in the final 11 minutes and dump the Reds out of this year’s EFL cup. Revenge could be very quickly achieved though as the two sides clash again this weekend in the league, this time at Stamford Bridge. Despite being the away side, Liverpool go into the game as slight favourites at [2.54], and it’s hard to disagree with that price, as not only do they bring their outstanding league record into this but they also have a decent recent record in the fixture, losing just twice out of their last eight league visits. Chelsea will be all too aware though that a home win will put them ahead of their Merseyside rivals and at least level with Manchester City, who I fully expect to be on 19 points by kick off. Both teams to score looks to be a safe bet even as low as [1.6], both teams have scored 14 goals in their opening six games and I think they both add to that record in this, just as they have done in six of the last seven league meetings at Stamford Bridge. I don’t think either side would be disappointed with a draw, and the Draw/Yes selection in the Match Odds and Both Teams to Score market at [5.0] is where I will be going.